"On 16 May 1943, nineteen Lancaster aircraft from the RAF’s 617 Squadron set off to attack the great dams in the industrial heart of Germany. Flying at a height of 60ft, they dropped a series of bombs which bounced across the water and destroyed two of their targets, thereby creating a legend. 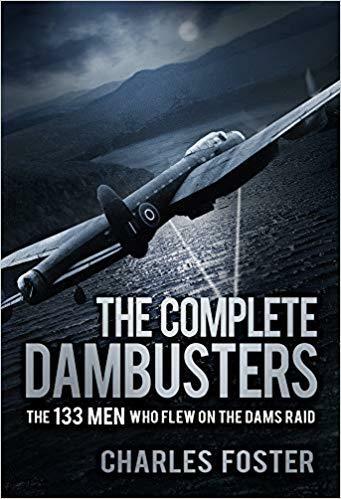 The one-off operation combined an audacious method of attack, technically brilliant flying and visually spectacular results.But while the story of Operation Chastise is well known, most of the 133 ‘Dambusters’ who took part in the Dams Raid have until now been just names on a list. They came from all parts of the UK and the Commonwealth and beyond, and each of them was someone’s son or brother, someone’s husband or father. This is the first book to present their individual stories and celebrate their skill, heroism and, for many, sacrifice."